I thought long and hard as to whether another blog is needed on any topic. I mean who has time to read them all? But I decided where else could I voice my opinion and read the opinions of others on a topic of my choice? This blog is about romance. Specifically the writing, reading and rating of interracial romance writing. All genres. Love, caring, and desire come in varied hues and forms. That's why I call it "Diverse Views." 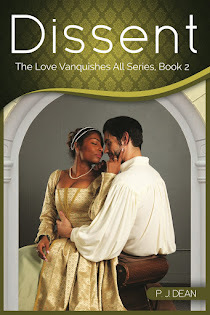 I write historical and futuristic interracial romances. What was the book that introduced you to a different sort of couple? An editor at a publishing house told me it was a phase that would pass. What do you think?